Our turn-key solution provides your organization with an efficient, hassle-free computer installation. CORE ATG will manage the ordering of your systems to insure you receive exactly what your organization requires. We will receive your products at our warehouse for storage until the installation date, and prepare your systems to your specifications with our imaging and etching services. When they are ready, CORE ATG will deliver the systems to your site with our fleet of vehicles and certified computer technicians, de-install and manage the recycling of your retired systems, and install and set up your new systems all during the same day. – Offices co-located with the CORE ECS corporate headquarters in Atlanta, Georgia. CORE ESG has established itself as a knowledgeable and experienced leader in education, generating a reputation as a true partner. CORE ESG’s initiatives range from research-based instructional materials for challenged learners – to groundbreaking innovations in diagnostic assessment, representing the very latest in psychometric applications.CORE ESG is a leading provider of assessment, intervention and special education solutions for some of the largest and most complex school systems in the US. Utilizing the cloud-based Assessment Center platform, CORE ESG offers district and states school systems the capability to administer state or Common Core aligned formative assessments, diagnostic screeners for reading and algebra readiness, cognitive growth measurement of individual students over time and response to intervention programs. edMastery is intended for districts and schools looking to design their instructional platform and assessment program from the ground up. As such, it is a very flexible and customizable platform for basic assessment and implementation – and can be used for instructional management and a viariety of assessment applications. Do you have needs for accreditation surveys for staff and faculty, workforce certification assessments or college readiness tests? How fast can your teachers react to an emergency? Every second counts. Timely help for teachers is critical to resolving both small matters and life-threatening crises. The SAFE System™ provides the necessary information using Audio Enhancement’s patented infrared classroom audio system. Issues can be contained before they escalate into major incidents.The combination of Audio Enhancement and the SAFE System allows Superintendents to realize their objectives of ensuring academic achievement and student safety. Schools of all sizes across the country are successfully using the SAFE System for the security of their teachers and students, as well as reducing liability concerns. Options are provided for prevention, mitigation and incident resolution. In 2001 CORE ECS partnered with the Georgia Department of Early Care and Learning (DECAL) to custom develop a comprehensive data monitoring system for their universal Pre-K program serving nearly 64,000 four-year olds (PANDA). With our help, DECAL took what was an inflexible and out of date system and completely streamlined it for processing hundreds of provider applications, making and tracking payments online, and validating program effectiveness from the field. Apply Online: No more endless paper shuffling. Potential Pre-K service providers can fill out applications online and receive award information and contracts through PANDA’s integrated e-mail. Roster Submission: Providers can submit class roster information over a secure Internet connection so you can track exactly who is receiving service from which provider. Instant Documents: PANDA integrates with Microsoft Word® so that state-level program staff can easily create forms and letters or edit contracts, using data directly from the system. Track Every Single Student: PANDA uses our Unique ID Generator system to reduce duplication and increase the accuracy of rosters. Online Payment: Accelerate monthly payments to providers with a fully functional and secure payments system that integrates with PeopleSoft. Feedback from the Field: State consultants who perform audits and compliance monitoring can use our laptop software in remote areas, then upload it to the system when convenient. Stepping into the world of productive employment, students’ approach often is too theoretical. While professionally qualified, they lack fundamental understanding that can make them readily employable. Also, fast developing countries are facing tremendous skill shortage. Despite having vast rural youth population, India itself today need an additional 140 million skilled workers across industry segments. In order to make students industry ready, educational institutes must use contemporary tools to bridge the gap. Core offers best-in-class, employability-linked vocational training in areas like Hospitality & Housekeeping, Spa Healthcare & Wellness, Data entry operations, IT & ITeS operations, Basic Accounting, and Construction. Core follows the Source, Train, Place model by working closely with industry and government organisations. It plans to expand its span by adding more sectors such as Automobile, retail, Travel and Tourism. Core’s comprehensive employability education is created using principles of 4E i.e. engagement, education, employability, entrepreneurship and 4A i.e. Accessible, Affordable, Attractive and Applicable. Core has partnered with The East Valley Institute of Technology (EVIT), a US based institute recognized for excellence in career and technical education… for developing high quality Career and Technical education curriculum. All information gathered about students, including private personal data about students and their performances, will be gathered in Gates Foundation funded InBloom. Mr. Gates paid inBloom 100 million dollars to collect and analyze schools’ data as part of a public-private collaborative that is building shared technology services. The data mining software being used, beginning this year (2014), will be stored in a database designed by Wireless Generation, a subsidiary of media mogul Rupert Murdoch’s News Corporation. The data will be collected by InBloom Inc., a non-profit like Wireless Generation, under the domain of one Bill Gates, who together with the Carnegie Foundation and other NGO’s set up the Wireless Generation through the Bill and Melinda Gates Foundation. Some 200,000 teachers in the U.S. are already using Wireless Generation data mining software. Other partners with CORE Education & Technologies include the largest corporations in the world including Raytheon, one of the planets largest offense contractors and Cargill Foods, the largest hog processor in the United States. Can you imagine and global education for all youth that teaches to a standardized testing system where all children’s futures will be tied to how well they perform (obey) through computerized education? Well that is the plans of the UNESCO and the global powers-that-be into a single-minded beehive. UNESCO works in concert with the United Nations Agenda 21 (21st Century) plans to move many of the planets human inhabitants into cities and concentrated zones of control. UNESCO is also associated with the Trans Pacific Partnerships (TPP) agreements being secretly implemented as well as the global corporate structure being erected through the American Legislative Exchange Council (ALEC) which seeks power of legal authority for corporations over nations and states in the court of law. “The participants agreed upon six wide-ranging education goals to be met by 2015. The Education for All Global Monitoring Report is the prime instrument to assess global progress towards achieving the six ‘Dakar’ EFA goals. It tracks progress, identifies effective policy reforms and best practice in all areas relating to EFA, draws attention to emerging challenges and seeks to promote international cooperation in favour of education. Did you get that? Education is indispensable for the U.N. to get its agenda pushed onto every citizen worldwide. Environmental education will be incorporated in formal education globally. Environmental education will be belief-and-spirituality based. Environmental education will be integrated into all disciplines, not just science. So, it should be pretty clear that there is a huge re-education program happening to all countries, the aim of which is to change people’s attitudes toward believing in “sustainable development” and environmental education. American Legislative Exchange Council (ALEC); Corporations legal arm for control of the public education system. More than 2,000 state lawmakers pay ALEC $100 for a two-year membership. While listed as nonpartisan, ALEC’s members definitely skew to the conservative end of the political spectrum. For example, of the 114 listed members of the group’s Education Task Force, 108 are Republicans, and only six are Democrats. Corporations, foundations, and “think tanks” can join ALEC, too. They pay up to $25,000 in yearly dues and can spend more to sponsor the council’s meetings. Corporate members can also donate to each state’s scholarship fund, which reimburses legislators who travel to meetings. The scholarships can exceed the amount of a legislator’s dues. Corporate members also can pay from $3,000 to $10,000 for a seat on a task force. ALEC operates through nine task forces, each co-chaired by a corporate member and a legislative member. Task forces are divided by subject and bring together conservative policy makers with corporate leaders to develop model legislation. In order for a proposal to become model legislation, both the public and private sides of the committee must agree—granting considerable power to the corporate side. Elected officials then take the model bills back to their states to introduce them as their own. Only legislators who are members may access the model legislation. It is a very efficient mechanism for corporations to exercise political power—and they have. Recent legislation in Tennessee provides a vivid example. ALEC created and provided members its model Virtual Public Schools Act. Two large for-profit corporate providers of virtual education, Connections Academy and K-12 Inc., had heavy involvement with the model bill’s creation. Mickey Revenaugh, a lobbyist for Connections Academy, was the corporate chair of ALEC’s Education Task Force and Lisa Gillis, with K-12 Inc., chaired its special needs education subcommittee that created the bill. Tennessee’s State Rep. Harry Brooks and State Sen. Dolores Gresham, both ALEC Education Task Force members, introduced the bill to their respective houses nearly verbatim, even using the same title. For example, the following passage forms the preamble of the adopted statute. Underlined portions were taken directly from ALEC’s model. • The purpose of this part is to provide an LEA with an alternative choice to offer additional educational resources in an effort to improve academic achievement. (Virtual Public Schools Act, 2011). • Introduce market factors into schools, particularly the teaching profession (Ladner, LeFevre, & Lips, 2010, p. 82) to be carried out through model legislation such as Alternative Certification Act, Great Teachers and Leaders Act, National Teacher Certification Fairness Act, Public School Union Release Time Act, School Collective Bargaining Agreement Sunshine Act, and Teacher Choice Compensation Act. There’s also a set of proposals (Public School Financial Transparency Act; School Board Freedom to Contract Act) that encourage school districts to outsource their auxiliary services. • Privatize education through vouchers, charters, and tax incentives (Ladner, LeFevre, & Lips, 2010, p. 87) to be carried out through model legislation such as Foster Child Scholarship Program Act, Great Schools Tax Credit, Military Family Scholarship Program Act, Parental Choice Scholarship Accountability Act, Parental Choice Scholarship Program Act (means-tested eligibility), Parental Choice Scholarship Program Act (universal eligibility), Parental Choice Scholarship Program Act (universal eligibility, means-tested scholarship amount), Parental Choice Scholarship Tax Credit Accountability Act, Education Enterprise Zone Act, Smart Start Scholarship Program, Special Needs Scholarship Program Act, Family Education Savings Account Act, Parental Rights Act, Resolution Supporting Private Scholarship Tax Credits, Autism Scholarship Program Act, and Family Education Tax Credit Program Act. • Increase student testing and reporting (Ladner, LeFevre, & Lips, 2010, p. 93) to be carried out through model legislation such as Resolution Supporting the Principles of No Child Left Behind Act, Student Right to Learn Act, Education Accountability Act, Longitudinal Student Growth Act, One to One Reading Improvement Act, and Resolution on Nonverified Science Curriculum Funding. • Reduce the influence of or eliminate local school districts and school boards (Ladner, LeFevre, & Lips, 2010, p. 96) to be carried out through model legislation such as Charter Schools Act, Innovation Schools and School Districts Act, Open Enrollment Act, Virtual Public Schools Act, and Next Generation Charter Schools Act. While ALEC’s forays into education policy are broad, privatization of public education has been a long-standing ALEC objective. As early as 1985, ALEC’s motivation for privatization was made clear (Barrett, 1985). In response, ALEC offered model legislation to “foster educational freedom and quality” through privatization (Barrett, 1985, p. 8). Privatization takes multiple forms: vouchers, tax incentives for sending children to private schools, and charter schools operated by for-profit entities. Today, ALEC calls this approach “choice” and renames vouchers “scholarships,” but its aim is clear: Defund and dismantle public schools. While many other right-wing organizations support this agenda, ALEC is the mechanism for implementing it through its many pieces of model legislation that propose legislative methods for defunding public schools, particularly low-income, urban schools. The motivation for dismantling the public education system—creating a system where schools do not provide for everyone—is ideological, and it is motivated by profit. “Individualized education comes from a teacher identifying a child’s strengths and weaknesses and helping him learn in light of these. It does not come from computers that are programmed to change questions based on certain inputs, because the computer will never know that a child may have decided to simply click “C” no matter how many ways the test question is asked. Individualized education is not fostered when a teacher receives a dismal report about her students’ progress, but she is given no time to help struggling students. Instead, she must rush to the next concept in order to cover this year’s prescribed standards. The rigid, dehumanized method necessitated by the Common Core’s requirements also threatens quality of education. Whether incidentally or by design, the Common Core endangers the idea of a liberal education and jeopardizes the goal of preparing children to be good citizens by sacrificing the pursuits of literacy, future curiosity, and loving what is objectively true on the altar of “college- and career-readiness.” Aiming to teach “what students need to know and be able to do to be successful in college and careers” mass-produces humans who will obediently serve in the workforce. The good news is that New York has joined 5 other states in uniting to either postpone or reject Common Core education curriculum’s. For a century or more the wealth elite in power have designed an education system that is working exactly how they designed it. They have not desired smart, intelligent, students that someday may become able to unseat their long established power base. Anything but that. The global plans are now to have a standardized global education system tied to computer learning with an outcome based education system based on high stakes testing. High stakes testing continual testing is being implemented through to 1st grade levels. The controversial Early Years Foundation Stage, which sets dozens of learning goals for children from their first year to the age of five, says that computers should be introduced from 22 months on. Within the next 2 years the Education for All agenda desires to have all public schools children fully linked to computer learning and assessment criteria. Additionally, phone taxes will be levied to homes and cell phones to bring internet education to all. Schools throughout the country are unwittingly signing over their power to the global electronic education system while Arnie Duncan, the head of the United States Department of Education wants schools to be the central hub of community and to manage and control of our youth 24/7/365. As colleges cater more and more to overseas “clients” to keep their brick and mortar business of higher education operating, Big Business has other plans for the future of student education. Online education. Famously, in the Fall of 2013, Eric Schmidt, CEO of Google declared that “Universities are going the way of the Dinosaur”, as he stood on the steps of Princeton University. “Schmidt was more positive about the un-Princeton-like Khan Academy, on whose board he serves. He said the academy, which offers free online video tutorials on dozens of topics, has begun to analyze students’ answers to figure out which questions do the best job of assessing mastery of a topic. During the 2013–14 school year, colleges and universities are expected to award 943,000 associate’s degrees; 1.8 million bachelor’s degrees; 778,000 master’s degrees; and 177,000 doctor’s degrees (source, source, source, and source). Schmidt, Big Tech and the global power base want control of the up and coming minds, bodies and spirits from cradle to grave and they have well laid out, well planned goals to execute their stated desires. Only through a deeper understanding of their goals and plans can we devise our own strategies to consciously change, destroy and/or opt out of global corporate control of our newest and youngest generations. 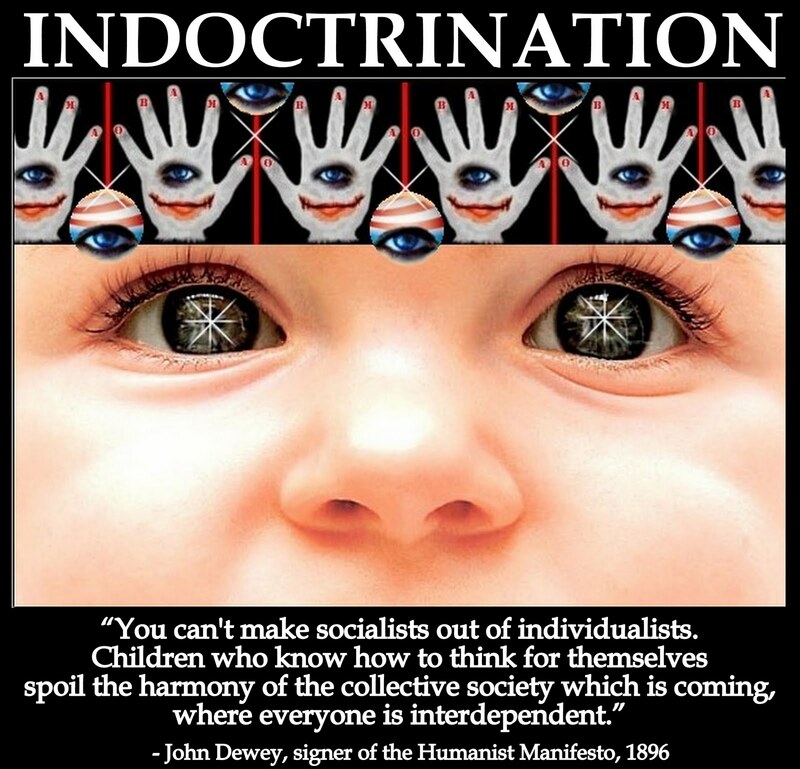 Unplugging your children from the wall, reconnecting with your children by reading to and with them, and bringing this type of alternative education information to your local school districts about the elite agenda can all serve to change a system that wants to own everything, especially today’s youth.